The International Expert Meeting on Asbestos, Asbestosis, and Cancer was convened in Helsinki on 20--22 January 1997 to discuss disorders of the lung and pleura in association with asbestos and to agree upon state-of-the-art criteria for their diagnosis and attribution with respect to asbestos. The group decided to name this document The Helsinki Criteria. The requirement for diagnostic criteria was perceived in part because of new developments in diagnostic methods, with better identification of asbestos-related disorders. Such developments enhance awareness of health hazards imposed by asbestos, lead to practical prevention and appropriate compensation, and also provide opportunity to carry out international comparisons. They also provide possible models for the risk assessment of other mineral dusts. The meeting was attended by 19 participants from 8 countries not producing asbestos. The chairmen were Professor Douglas W Henderson (Flinders Medical Centre, Australia) and Professor Jorma Rantanen (Finnish Institute of Occupational Health, Finland). The group was a multidisciplinary gathering of pathologists, radiologists, occupational and pulmonary physicians, epidemiologists, toxicologists, industrial hygienists, and clinical and laboratory scientists specializing in tissue fiber analysis. Collectively, the group has published over 1000 articles on asbestos and associated disorders. This document is based on a more comprehensive report providing scientific evidence for the conclusions and recommendations (People and Work Research Reports, no 14, Finnish Institute of Occupational Health, Helsinki, 1997). Occupational exposures to asbestos dust have been widespread in all industrial countries and continue as a consequence of "in-place" materials. In detailed interviews about 20% to 40% of adult men report some past occupations and jobs that may have entailed asbestos exposure at work. In Western Europe, North America, Japan, and Australia the use of asbestos peaked in the 1970s, and currently about 10 000 mesotheliomas and 20 000 asbestos-induced lung cancers are estimated to occur annually in the population of approximately 800 million people. In general, reliable work histories provide the most practical and useful measure of occupational asbestos exposure. Using structured questionnaires and checklists, trained interviewers can identify persons who have a work history compatible with significant asbestos exposure. Dust measurements can be used in the estimation of past fiber levels at typical workplaces and in the use of asbestos-containing materials. A cumulative fiber dose, as expressed in fiber-years per cubic centimeter, is an important parameter of asbestos exposure. The clinical diagnosis of asbestos-related diseases is based on a detailed interview of the patient and occupational data on asbestos exposure and appropriate latency, signs and symptoms, radiological and lung physiology findings, and selected cytological, histological and other laboratory studies. Histopathological confirmation is required for suspected asbestos-related malignancies and for the resolution of differential diagnoses. A multidisciplinary approach is suggested for the evaluation of problem cases. The chest radiograph is the basic tool for identifying asbestos-related diseases such as asbestosis, pleural abnormalities, lung cancer, and mesothelioma. The limitation of the chest radiograph in the detection of asbestosis and asbestos-associated pleural abnormalities is widely recognized. Computed tomography (CT) and high resolution computed tomography (HRCT) can facilitate the detection of asbestosis and asbestos-related pleural abnormalities, as well as asbestos-related malignancies; they are not recommended as a screening tool but may be invaluable for individual clinical evaluation and research purposes. Examples are the detection of pleural abnormalities in suspected cases of asbestosis and the detection of parenchymal disease obscured on the chest film and also use as an aid to differential diagnosis. As new imaging techniques such as digital radiography are evolving, standard images and interpretations must be developed. The place of other imaging techniques (ultrasound, magnetic resonance imaging, gallium scanning, ventilation-perfusion studies, positron-emission tomography) has yet to be established, and they are not currently recommended for the clinical diagnosis of asbestos-related disorders. Asbestosis is defined as diffuse interstitial fibrosis of the lung as a consequence of exposure to asbestos dust. Neither the clinical features nor the architectual tissue abnormalities sufficiently differ from those of other causes of interstitial fibrosis to allow confident diagnosis without a history of significant exposure to asbestos dust in the past or the detection of asbestos fibers or bodies in the lung tissue greatly in excess of that commonly seen in the general population. Symptoms of asbestosis include dyspnea, and cough. Common findings are inspiratory basilar crackles and, less commonly, clubbing of the fingers. Functional disturbances can include gas exchange abnormalities, a restrictive pattern, and obstructive features due to small airway disease. Asbestosis is generally associated with relatively high exposure levels with radiological signs of parenchymal fibrosis. However, it is possible that mild fibrosis may occur at lower exposure levels, and the radiological criteria need not always be fulfilled in cases of histologically detectable parenchymal fibrosis. The recognition of asbestosis by chest radiography is best guided by standardized methods such as the classification of the International Labour Organisation (ILO) and its modifications. Standard films must always be used. For research and screening purposes, radiological findings of small opacities, grade 1/0, are usually regarded as an early stage of asbestosis. Inspiratory basilar rales, restrictive impairment, small airway obstruction, and gas exchange disturbances in pulmonary function are considered valuable information for clinical diagnosis, for occupational health practice, and for attribution purposes. HRCT can confirm radiological findings of asbestosis and show early changes not seen on chest X rays, but should be performed only in selected cases. Smoking effects should be considered in the evaluation of early asbestosis, lung function tests, and respiratory symptoms. A histological diagnosis of asbestosis requires the identification of diffuse interstitial fibrosis in well inflated lung tissue remote from a lung cancer or other mass lesion, plus the presence of either 2 or more asbestos bodies in tissue with a section area of 1 cm2 or a count of uncoated asbestos fibers that falls into the range recorded for asbestosis by the same laboratory. In order to achieve reasonable comparability between different studies, a standardized system for the histological diagnosis and grading of asbestosis is required. The Roggli-Pratt modification of the CAP-NIOSH system is recommended as a reasonably simple and reproducible scheme for this purpose. There is evidence that rare cases of asbestosis occur without significant numbers of asbestos bodies. These cases are recognizable—and distinguishable from idiopathic pulmonary fibrosis—only by analysis of the uncoated fiber burden. Rare cases of asbestosis in relation to the inhalation of pure chrysotile can occur, with a prolonged interval between the last exposure and the diagnosis and few or no detectable asbestos bodies and a low fiber burden. The existence of such cases is speculative and, if the diagnosis can be made, it must be done from other compelling clinical or radiological grounds combined with exposure data. Asbestos-related pleural abnormalities are divided into pleural plaques, mainly involving the parietal pleura, sometimes with calcification, and diffuse pleural thickening, which is a collective name for pleural reactions involving mainly the visceral pleura. These include benign asbestos-related pleural effusion, blunted costophrenic angle, crow`s feet or pleuroparenchymal fibrous strands, and rounded atelectasis. Avoidance of the term "pleural asbestosis" is recommended. Pleural plaques are usually asymptomatic, and without clinically important findings. The specificity of pleural plaques according to the ILO 1980 Classification of Radiographs of Pneumoconioses is low unless the plaques are radiographically well defined. The most common differential diagnosis is subpleural fat. Radiographic findings are reliable for the diagnosis of asbestos-related pleural plaques when they are characteristic (eg, bilateral circumscribed plaques, bilateral calcification, diaphragmatic plaques). Pleural plaques represent circumscribed areas of fibrous thickening, typically of the parietal pleura, due to the deposition of paucicellular collagenous tissue with a laminar or basket-weave pattern; they may or may not calcify. In regions where plaques are not endemic, 80–90% of the plaques that are radiologically well defined are attributable to occupational asbestos exposure. The presence of pleural plaques may justify follow-up among occupationally exposed groups. Diffuse pleural fibrosis designates noncircumscribed fibrous thickening of variable cellularity, which usually affects the parietal, but mainly the visceral, layers. In the setting of occupational asbestos exposure, such diffuse fibrosis is probably a result of benign asbestos pleuritis with effusion. It may or may not be associated with rounded atelectasis. Diffuse pleural thickening can be associated with mild, or rarely moderate or severe, restrictive pulmonary function defects. Malignant mesothelioma affecting any serosal membrane may be induced by asbestos inhalation. The histological, immunohistochemical and ultrastructural markers for the diagnosis of mesothelioma are well established. Expert opinion should be sought on atypical cases, or on those in which the diagnosis is uncertain because of discordant findings or in which the amount of material available is insufficient for definite diagnosis. Mesothelioma is frequently presented with pleural effusion, dyspnea and chest pain. With the exception of certain histological types of mesothelioma that are benign or of uncertain or borderline malignant potential (eg, multicystic mesothelioma, benign papillary mesothelioma), all types of malignant mesothelioma can be induced by asbestos, with the amphiboles showing greater carcinogenic potency than chrysotile. A lung fiber count exceeding the background range for the laboratory in question or the presence of radiographic or pathological evidence of asbestos-related tissue injury (eg, asbestosis or pleural plaques) or histopathologic evidence of abnormal asbestos content (eg, asbestos bodies in histologic sections of lung) should be sufficient to relate a case of pleural mesothelioma to asbestos exposure on a probability basis. In the absence of such markers, a history of significant occupational, domestic, or environmental exposure to asbestos will suffice for attribution. There is evidence that peritoneal mesotheliomas are associated with higher levels of asbestos exposure than pleural mesotheliomas are.  In some circumstances, exposures such as those occurring among household members may approach occupational levels. The question in unresolved of whether or not a case of mesothelioma for which the lung fiber count falls within the range recorded for unexposed urban dwellers is related to asbestos. More information is needed regarding the interpretation of fiber burdens in the pleura or samples of tumor tissue before these measures can be used for the purposes of attribution. • The great majority of mesotheliomas are due to asbestos exposure. • Mesothelioma can occur in cases with low asbestos exposure. However, very low background environmental exposures carry only an extremely low risk. • About 80% of mesothelioma patients have had some occupational exposure to asbestos, and therefore a careful occupational and environmental history should be taken. • An occupational history of brief or low-level exposure should be considered sufficient for mesothelioma to be designated as occupationally related. • A minimum of 10 years from the first exposure is required to attribute the mesothelioma to asbestos exposure, though in most cases the latency interval is longer (eg, on the order of 30 to 40 years). All 4 major histological types (squamous, adeno-, large-cell and small-cell carcinoma) can be related to asbestos. The histological type of a lung cancer and its anatomic location (central or peripheral, upper lobe versus lower lobe) are of no significant value in deciding whether or not an individual lung cancer is attributable to asbestos. Clinical signs and symptoms of asbestos-related cancer do not differ from those of lung cancer of other causes. As examples, 1 year of heavy exposure (eg, manufacture of asbestos products, asbestos spraying, insulation work with asbestos materials, demolition of old buildings) or 5–10 years of moderate exposure (eg, construction, shipbuilding) may increase the lung cancer risk 2-fold or more. In some circumstances of extremely high asbestos exposure, a 2-fold risk of lung cancer can be achieved with exposure of less than 1 year. The relative risk of lung cancer is estimated to increase 0.5–4% for each fiber per cubic centimeter per year (fiber-years) of cumulative exposure. With the use of the upper boundary of this range, a cumulative exposure of 25 fiber-years is estimated to increase the risk of lung cancer 2-fold. Clinical cases of asbestosis may occur at comparable cumulative exposures. A 2-fold risk of lung cancer is related to retained fiber levels of 2 million amphibole fibers (>5 µm) per gram of dry lung tissue or 5 million amphibole fibers (>1µm) per gram of dry lung tissue. This lung fiber concentration is approximately equal to 5000 to 15 000 asbestos bodies per gram of dry tissue, or 5 to 15 asbestos bodies per milliliter of bronchoalveolar lavage fluid. When asbestos body concentrations are less than 10 000 asbestos bodies per gram of dry tissue, electron microscopic fiber analyses are recommended. Chrysotile fibers do not accumulate within lung tissue to the same extent as amphiboles because of faster clearance rates; therefore, occupational histories (fiber-years of exposure) are probably a better indicator of lung cancer risk from chrysotile than fiber burden analysis is. A lung fiber burden within the range recorded for asbestosis in the same laboratory should be assigned a significance similar to that of asbestosis. For a patient with lung cancer and a fiber count that falls within the range recorded for unexposed urban dwellers, the relationship of the tumor to amphibole asbestos is doubtful at most. Estimates of the relative risk for asbestos-associated lung cancer are based on different-sized populations. Because of the high incidence of lung cancer in the general population, it is not possible to prove in precise deterministic terms that asbestos is the causative factor for an individual patient, even when asbestosis is present. However, attribution of causation requires reasonable medical certainty on a probability basis that the agent (asbestos) has caused or contributed materially to the disease. The likelihood that asbestos exposure has made a substantial contribution increases when the exposure increases. Cumulative exposure, on a probability basis, should thus be considered the main criterion for the attribution of a substantial contribution by asbestos to lung cancer risk. For example, relative risk is roughly doubled for cohorts exposed to asbestos fibers at a cumulative exposure of 25 fiber-years or with an equivalent occupational history, at which level asbestosis may or may not be present or detectable. Heavy exposure, in the absence of radiologically diagnosed asbestosis, is sufficient to increase the risk of lung cancer. Cumulative exposures below 25 fiber-years are also associated with an increased risk of lung cancer, but to a less extent. The presence of asbestosis is an indicator of high exposure. Asbestosis may also contribute some additional risk of lung cancer beyond that conferred by asbestos exposure alone. Asbestosis diagnosed clinically, radiologically (including HRCT), or histologically can be used to attribute a substantial causal or contributory role to asbestos for an associated lung cancer. Pleural plaques are an indicator of exposure to asbestos fibers. Because pleural plaques may be associated with low levels of asbestos exposure, the attribution of lung cancer to asbestos exposure must be supported by an occupational history of substantial asbestos exposure or measures of asbestos fiber burden. Bilateral diffuse pleural thickening is often associated with moderate or heavy exposures, as seen in cases with asbestosis, and should be considered accordingly in terms of attribution. A minimum lag-time of 10 years from the first asbestos exposure is required to attribute the lung cancer to asbestos. Not all exposure criteria need to be fulfilled for the purposes of attribution. For example, the following can be considered: (i) significant occupational exposure history with low fiber burdens (eg, long exposure to chrysotile and long lag-time between the end of exposure and mineralogical analysis) and (ii) high fiber counts in lung or broncholavage fluid with an uncertain history or without long-term duration (short exposures can be very intense). At very low levels of asbestos exposure, the risk of lung cancer appears to be undetectably low. Screening of asbestos-exposed populations can be carried out for practical and scientific purposes. There are 4 goals of screening: (i) to identify high risk groups, (ii) to target preventive actions, (iii) to discover occupational diseases, and (iv) to develop improved tools for treatment, rehabilitation and prevention. Screening should aim to prevent asbestos-related diseases and therefore lead to gained healthy years of life among the screened or among those in similar risk situations. The benefits to the individual person should be viewed cautiously. The substantial morbidity and mortality related to asbestos exposure argue for continued efforts to increase the preventive power of screening. Any screening for purely scientific purposes requires appropriate methods and criteria (eg, low cost and high predictive value). Before a screening program is initiated, the ethical, financial, and legislative aspects need to be considered. These aspects may include patient notification, data protection, allocation of costs, and follow-up of identified abnormalities. In addition, provision should be made for epidemiologic analyses, quality control, primary and secondary prevention, and the assessment of program effectiveness. As tools for screening, questionnaires and personal interviews should include items related to asbestos exposure, smoking, and other contributing factors. Questionnaires should preferably be validated for smoking habits and occupational histories. When possible, questionnaires should be applied nationally to permit epidemiologic analysis of the results. Chest X-ray examinations can include frontal and lateral roentgenograms. Appropriate lung function tests can measure respiratory flow volumes and rates. In spirometry, attention should be given to careful calibration, acceptable performance efforts, and reproducibility. The prevention strategies of asbestos-related diseases can be based on the identification of exposure sources and exposed people. There are 3 main targets for prevention: (i) an individual worker, (ii) a selected group of workers, and (iii) the work environment. At the level of the individual worker, the tools for prevention include health education and the introduction of safe work practices, the avoidance of tobacco smoking, and careful follow-up of health by surveillance. The group level methods are in part the same as at the individual level (ie, health information, education, and recommendations including the use of respiratory protective equipment). The work environment is the most important target for preventive measures, starting from avoiding the use of asbestos, carefully controlling dust emissions using wet techniques, and controlling passive smoking at the workplace. Many countries have prohibited the use of asbestos, but there are still substantial amounts of asbestos in consumer products and in buildings that can expose workers in repair and removal work. Some countries have permitted asbestos work only under special authorization, training, and protective measures. From the knowledge on potential exposures to asbestos, high-risk populations can be identified among persons exposed 10 or more years ago. The availability of registers—union, workers` compensation, and employment records—can be explored for this purpose. Subjects can be assigned to subgroups for intervention or screening as defined by their risk (eg, the current risk of lung cancer and risk projected to given time windows in the future). Criteria for inclusion in each intervention or screening group should be established in the study protocol. Subsequently, the members of each subgroup can serve as separate targets for group-based and individual intervention programs. Protocols for intervention should be designed in such a way that they serve each subject and subgroup optimally in terms of promoting individual health and the early detection of asbestos-related diseases. Data on these subgroups can also form a basis for more specific studies of disease outcome or various biomarkers. Identified abnormalities should be followed by the best clinical and occupational practices. There are several issues that still require clarification and further study. The following list of recommendations and future directions is not intended to be exhaustive. • Improvement in the assessment and quantification of exposure to asbestos, to include specific worker groups, with collation of data and the development of an international standardized protocol for the assessment of exposure. • Further analysis of job-exposure data and further studies on asbestos fiber burdens in tissue in relation to various asbestos-related disorders. • Studies on chrysotile fiber burdens in lung tissue relative to the risk of lung cancer (also to include experimental investigations). • Lung cancer relative to the lung tissue burdens of mineral fibers other than asbestos (eg, refractory ceramic fibers and zeolites). • Improvement of the ILO system for the radiological diagnosis and categorization of pleural abnormalities. • Development of a standardized system for the reporting of HRCT scans of asbestos-related disorders, analogous to the ILO system. • Studies on the specificity of lesions of the pleura visualized by CT as markers of asbestos exposure and studies on the prognosis of diffuse pleural abnormalities. • Improvement in ultrasound imaging of the pleura. • Development of new digital imaging techniques for the investigation of asbestos-related diseases. • Standardization of the approach to lung crepitations with the use of special auditory devices. • Investigation of mesothelioma as a potential outcome of exposure to mineral fibers other than asbestos—such as refractory ceramic fibers—to include experimental studies and a series of mesothelioma patients without exposure to asbestos or erionite, supported by lung tissue fiber analysis. • Multicenter studies on biomarkers for the detection of early asbestos diseases and the assessment of the response to new treatment modalities. • Investigation of asbestos-associated tumors other than lung cancer and mesothelioma (eg, laryngeal carcinoma and renal carcinoma). • Further studies on the effectiveness of screening programs. Participants: Douglas W. Henderson (Flinders Medical Centre, Australia), Jorma Rantanen (Finnish Institute of Occupational Health, Finland), Scott Barnhart (University of Washington, United States), John M Dement (Duke University Medical Center, United States), Paul De Vuyst (Cliniques Universitaires de Bruxelles, Hopital Erasme, Belgium), Gunnar Hillerdal (Karolinska Hospital, Sweden), Matti S Huuskonen (Finnish Institute of Occupational Health, Finland), Leena Kivisaari (Helsinki University Central Hospital, Finland), Yukinori Kusaka (Fukui Medical School, Japan), Aarne Lahdensuo (Tampere University Hospital, Finland), Sverre Langård (The National Hospital, Norway), Gunnar Mowe (Department of Social Insurance Medicine, University of Oslo, Norway), Toshiteru Okubo (University of Occupational and Environmental Health, Japan), John E Parker (National Institute for Occupational Safety and Health, United States), Victor L Roggli (Duke University Medical Center, United States), Klaus Rödelsperger (Justus-Liebig University, Germany), Joachim Rösler (Justus-Liebig University, Germany), Antti Tossavainen (Finnish Institute of Occupational Health, Finland), Hans-Joachim Woitowitz (Justus-Liebig University, Germany).